...... You can run Secure Folder Hider in stealth mode so that no one knows its there, and hide or show your sensitive files using hotkeys. There has never been an easier way to keep private files REALLY private. Version 1.2 fixes a bug that would sometimes prevent a folder from being hidden/shown. Qweas is providing links to Secure Folder Hider 2.6 as a courtesy, and makes no representations regarding Secure Folder Hider or any other applications or any information related thereto. Any questions, complaints or claims regarding this application Secure Folder Hider 2.6 must be directed to the appropriate software vendor. 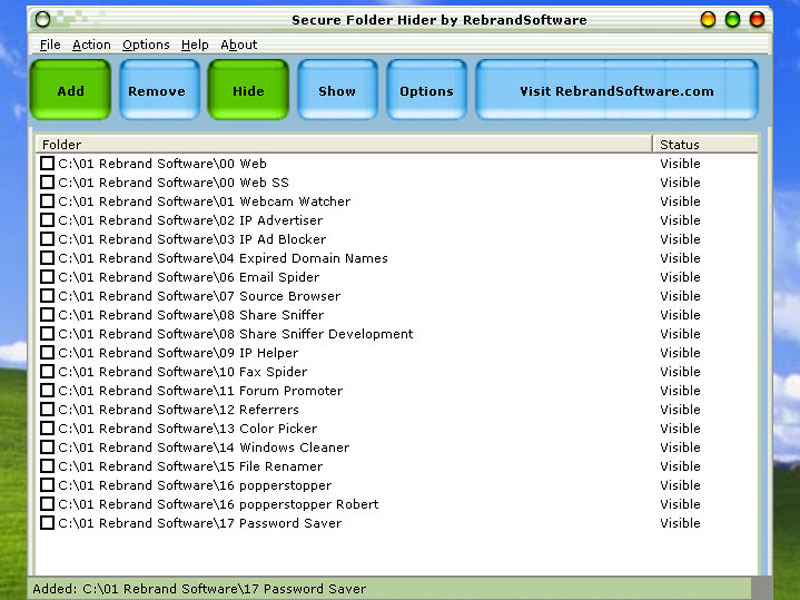 You may click the publisher link of Secure Folder Hider on the top of this page to get more details about the vendor.